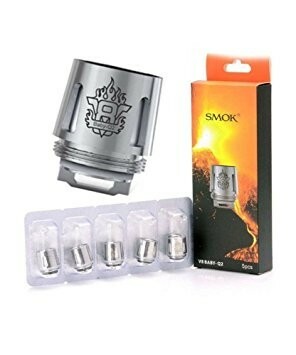 Great value replacement pack of 5 V8 Baby Q2 Coils, made specifically for the TFV8 Baby Beast Tanks. Save time and money by stocking up today so you're always ready to have a great vaping experience. Each coil is compact, have high resistance and are best used between 55 and 65 watts. Order today and pick from either the 0.4ohm or 0.6ohm coils.